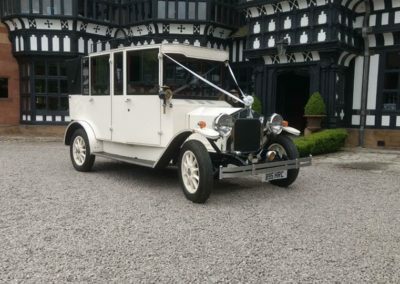 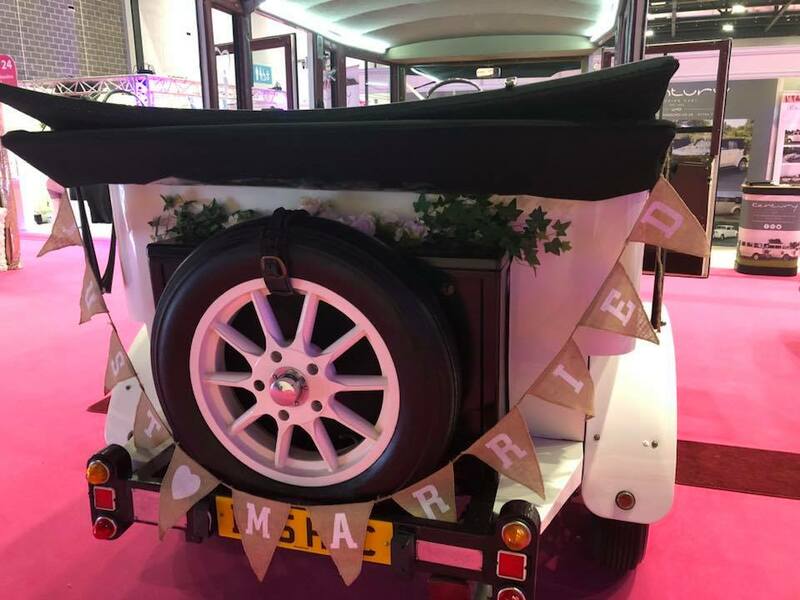 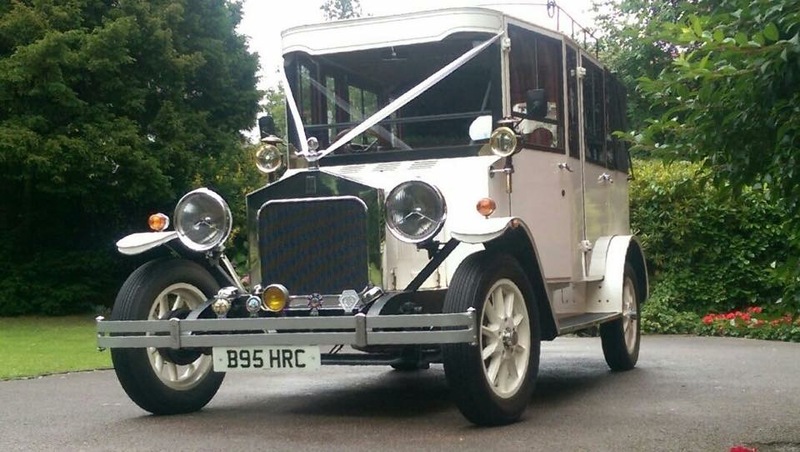 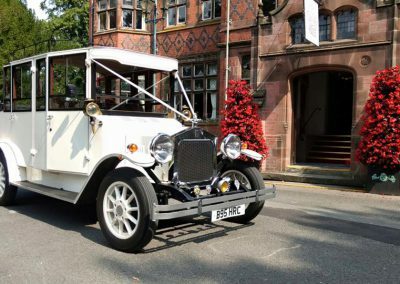 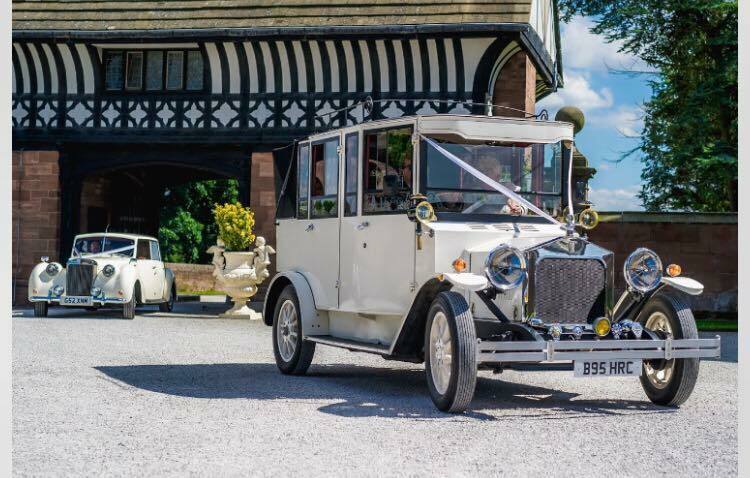 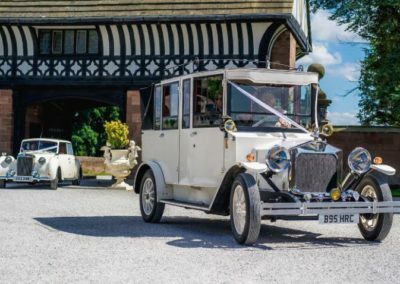 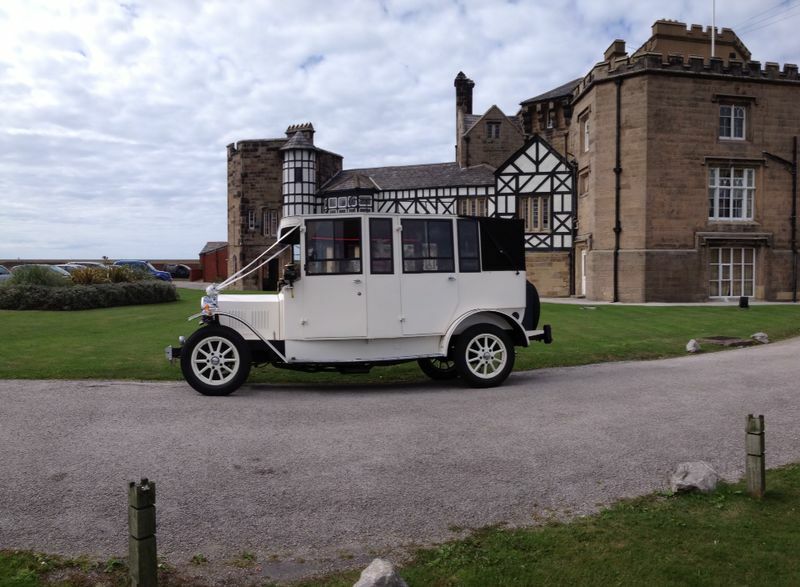 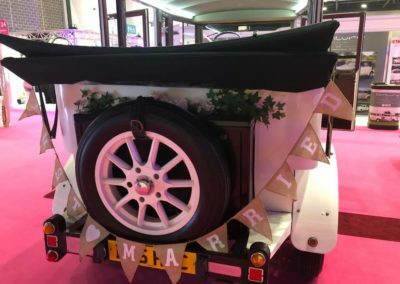 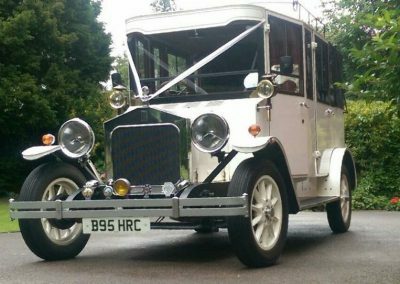 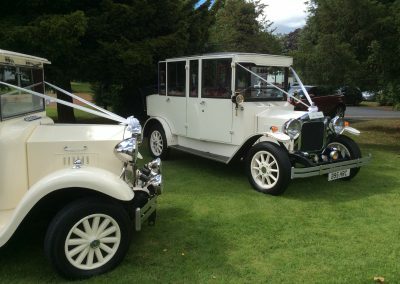 The Fleur-De-Lys Landaulet is the perfect wedding car for your special occasion. 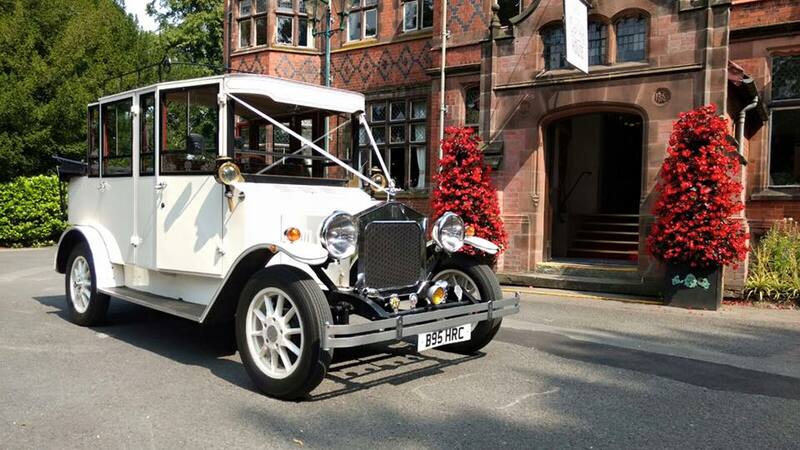 Seating seven comfortably, step back in time to the stylish 1920s with this beautiful Edwardian style car which would not be out of place in Downtown Abbey. 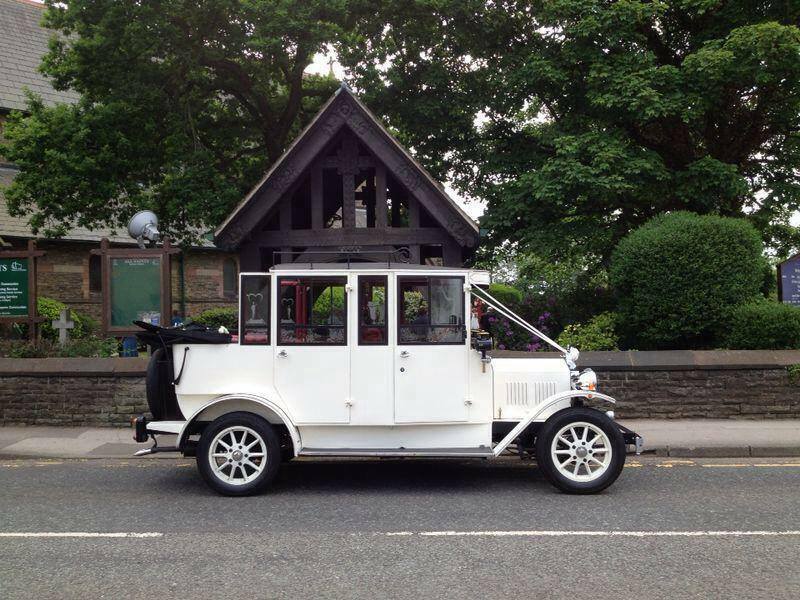 The Fleur-De-Lys features a rear hood that can be easily opened for those perfect photographs or open top travel. 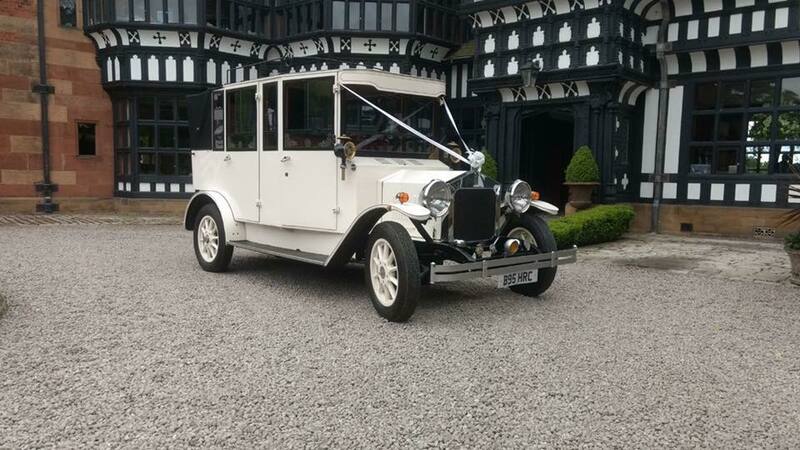 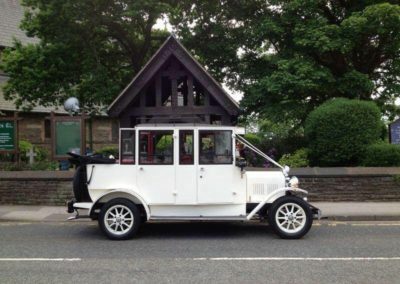 Like many of the other wedding cars in our fleet, it is finished in Old English White with Burgundy leather interior.